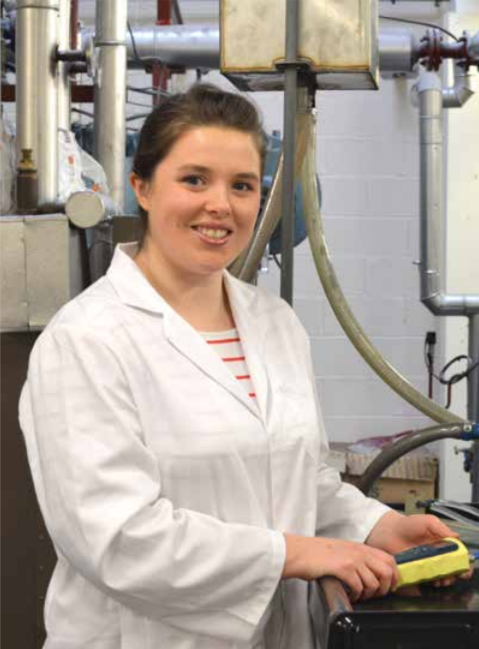 Róisín Ormond refused to let her hearing impairment stand in the way of higher education study. I am currently in my second year [at Cork Institute of Technology (CIT)] studying Biomedical Engineering, it’s a very challenging course but I’m enjoying it. I’ve always had an interest in maths and helping other people, by combining the two, I will hopefully be designing hip and knee implants for patients in the near future. As I am challenged by a hearing impairment, I use two digital hearing aids. At first I was very apprehensive about going to college, with the large classrooms and the large numbers of students was very daunting for me, since I was used to small settings in secondary school. I heard about the DARE (Disability Access Route to Education) scheme in CIT and I knew that it would be ideal for me so I applied. With my hearing loss I have always relied on my lip-reading skills and a FM system which my teachers in secondary school wore to enhance sound into my hearing aids. I knew going into college I wouldn’t be able to rely on my lip-reading skills to get through hour long classes. I did some research on the CIT Disability Support Service (DSS) and found that I would be eligible for an interpreter and a stereotype. I chose stereotype, which means that during my lectures, I have someone typing everything being said onto a laptop and I can read along during the lecture from a small screen, I was apprehensive about using it at first, but I got used to it pretty quickly. I would be lost without my stereotypists in college now, Rose, Liz, Lucia and Dearbhal. They are a huge support to have in the lectures, without them I don’t think I would have done as well as I have so far. In my course I have a number of different labs, which range from biology to CAD, Inventor to workshop. I have my stereotypists in most labs, they will come in with lab coats, overalls and steel cap boots with me. But some labs are more hands on with very little theory, in these classes I use my FM system which was provided by the Assistive Technology Service as part of the DSS. This allows me to hear my lectures more clearly in the labs. Although the first few weeks were challenging using the device in the workshop labs, I learned pretty quickly to turn off the FM when lectures were demonstrating how to use drills and lathes, they are loud noises but when amplified through the device they are unbelievably loud. The lecturers in CIT are extremely helpful especially in the beginning of first year while getting used to all the new surroundings. In some of my classes, videos are sometimes shown, and unfortunately most have no subtitles, I struggle to understand what’s being said in the videos when it’s shown in a classroom environment. As a result, my lecturers send me emails with links to videos after classes so I can go through them in my own time. During exams, I used to dread having to try and listen out for the supervisors making announcements, in case I missed any important information, I found out a few months into college that I was also entitled to exam supports. I now take my exams in a separate room on my own. This is a huge help for me as it allows me to focus entirely on the exam. The Assistive Technology Service is a huge asset to CIT, I have used it frequently over the past few years, Mark is a fantastic help. The combination of all the support services here in CIT is vital for students like me. I would advise anyone interested in coming to CIT to get in contact with the Disability Support Service; they will do everything they can to help out during your time in college. I was once told that I wouldn’t be eligible in completing my Leaving Certificate let alone doing third level education because of my hearing loss, I never let my disability stand in my way, I hope anyone with a disability thinks the same.